We all work for vacation all year long and don’t want it to be wasted. There is something undeniably mesmerizing and magical effect of Aegean climate. 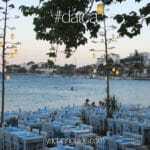 In one hand local traditions awaits, other hand dazzling sunsets to be enjoyed freely. Imagine you have almost 300 days with sunshine in a year! Also meltemi breeze helps a lot you to enjoy even more which is a northeasterly wind that blows through much of Greece and Turkey coasts during the summer. You have chance to explore the remains of ancient civilizations in Turkey and Greece up to your itinerary. Setting your own island itinerary is one of the best parts of your sailing. You may stop for finding a secluded swimming stop or just for octopus and ouzo. There are numerous island options in Aegean Sea to explore. Kos, Rhodes, Leros, Lipsi or Patmos which used to be the private island of the billionaire Onassis. 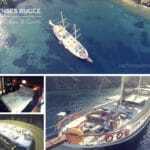 Most of the travelers think gulet charter tours does not offer many nuanced choices. Let us disprove the thesis. Oceans cover a third of our world’ s surface which already provides us extraordinary sailing alternatives even if you consider the Aegean Sea as just one of the smallest one. 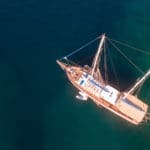 For this point of view a gulet can easily be considered as a small floating hotel but with many advantages on the side. If your idea of a blue voyage involves excellent fine dining service, high quality service standards then your pick will be Mirya Yachting. Please include city and country code if applicable. 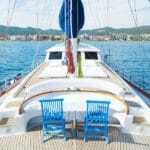 Which is the Best Gulet Charter Turkey Holiday Itinerary?